He was a famous tenor, the most popular star of the opera and operetta stages of the 20 interwar years. From the thirties of the twentieth century also an actor. He was born in 1902 in Sosnowiec. He studied Singing at W. Brzeziński and T. Leliwa. He made his debut in Sosnowiec in 1923. A year later he stood for the first time on the opera stage singing Highlander’s part from ‘Halka’ at the Opera House of Warsaw. In 1929 he made his debut on the Italian stage in ‘La Scala’ and in 1938 at the American Opera ‘Metropolitan’. Together with his wife – also an opera singer – Marta Eggerthz Węgier, he performed on Broadway in the musical ‘Cheerful Widow’, which brought him international fame. This beau of the screen with a disarming smile and of an irresistible charm performed in 39 films, among them: ‘Dla Ciebie śpiewam’, ‘Czar cyganerii’, ‘Valse Brilliante’, ‘Księżniczka czardasza’. Almost in every film he sang one song in Polish. In his repertoire he had the most famous opera and operetta parts. He performed on the most important stages of the world: in Vienna, Munich, Milan, Paris, Berlin, Buenos Aires, Brussels, Budapest, Prague, Bern, Sao Paulo, Rio de Janeiro, Havana and beloved Poland. As one of the first opera singers he managed to communicate with the audience. He had never refused to sing whenever he was asked to do so. Therefore he sang in many various places such as in the street, from the roof of the cabs, from the balcony or on the stairs of operas houses. Jan Kiepura has a special place in the memory of the inhabitants and visitors of Krynica. by critics he was called ‘Phenomenon’ , ‘Voice Cresus’ and ‘Another Caruso’. This extremely popular around the world opera singer was not a usual visitor coming regularly to Krynica Zdrój to rest, but he was its inhabitant. In 1933 by the St. Pułaski 35 a luxury villa ’Patria’(homeland) designed by Bohdan Pniewski was erected. Our singer wanted to express his attachment to his homeland that he missed a lot while his constant voyages. The income from his concerts he shared with charities. He supported construction of the house of the National Museum in Cracow, the poor, those who were stricken by floods. He was engaged in numerous action that gained publicity because of his person (e.g. collecting funds for the National Defence before the outbreak of the WWII). His villa in Krynica was an example of the modern Swiss and Austrian hotels. There were lifts, central heating and a telephone exchange there, which was a sign of great luxury then. ‘Patria’ was equipped with a viewing terrace on the roof and an exclusive rotating front door. Its interior marble and alabaster is admired even nowadays. 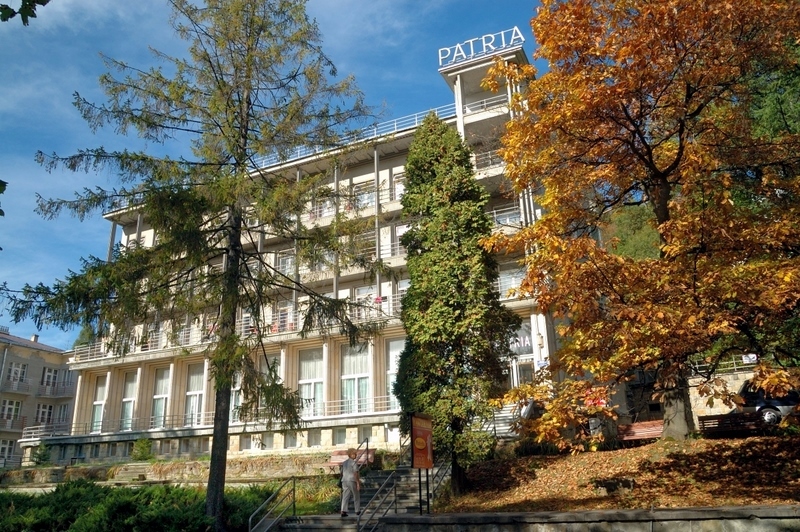 When a famous singer came here to his only Polish home, crowds of fans, visitors and inhabitants gathered under ‘Patria’. He often performed in the Pedestrian Zone. Today there is a bandshell there with his bas-relief. Kiepura achieved such great success due to the mixture of his singular virtues: extraordinary voice, great musicality, self-esteem and wonderful contact with the audience. He supported young and gifted artists. All the time his heart was close to his homeland, in the country of his childhood, where he wished to be buried. In 1966 he was buried in Powązki in Warsaw. 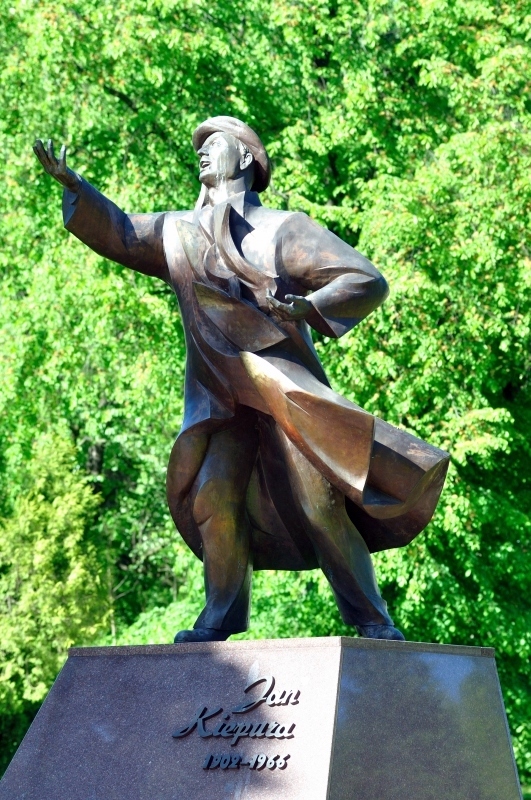 In July 2004, in Krynica-Zdrój the monument of Master Jan was unveiled. It shows him singing with his arm raised. The Jan Kiepura Festival that without a break has taken place since 1967 is also his unique and spiritual monument. 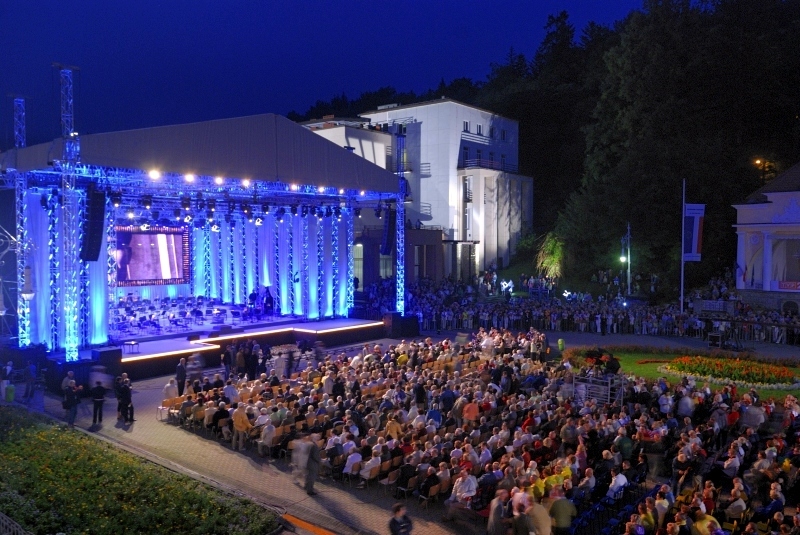 Each year in August, it gathers many opera lovers in Krynica-Zdrój.